This story is a reminder of the power of saying Istighfar (seeking forgiveness) frequently. Let’s remember that the prophet used to say Istighfar frequently during the day. The following are the verses of Surah Nuh from the Noble Quran. Allah O Akbar! An amazing story. This website has great soul inspiring articles that are easy to understand and accurate, God bless you for your work, its great! I got goose bumps reading this. It just shows you Allah gives what you need when you need it and I needed this story. All Praise Due To Allah. It goes to show how benevolent Allah swt is to His slaves. You just say these few words and He grants you millions of your du’a. Glory be to Him, d Most High. Alhamdolillah! What a story, and what a lot it has to teach – the power of Istighfar; the Benevolence of Allah (Subhanahu wa Ta’ala) and the humility of Imam Ahmed bin Hanbal. It strenthens your Eeman; it turns you towards Allah; and it shows you how insignificant are people’s reactions to us though we foolishly attach undue importance to them. Allahuakbar, isighfar is supposed to clean your heart and mind, and we need to do it on daily basis. Repentance is good for the mind, soul and body. This is truly a moving story it has really touched me and I have felt it. Jazakallah for sharing this with me. May Allah bless your site, you and your causes. Ameen. Please remember me in your dua’s. SUBHANALLAH..I CANNOT STOP CRYING…SUBHANALLAH SO TOUCHING STORY. MAY ALLAH SWT HAVE MERCY AND US AND FORGIVE US. Allah helps his slaves through ways unknowns to us and constant touba is very important tool to associate ourselves with Him. Allah [swt] helps His slaves through ways unknown to us and seeking forgiveness constantly from Him is best tool available with us to associate ourselves with His Rehmat. Allah askd Holy prophet S.A.W. to seek for forgiveness(even though he was forgiven any future acts if there was any S.A.W) bt stl he (S.A.W) did seek Allah’s forgivnes. It is a lesson wat we shld adhere to n constantly. May Allah forgiv our sins, amiin. A moving story indeed! But how many of us would react the way Imam Ahmed bin Hanbal did to the treatment he got! Truly spiritual people are just not affected by how people treat them. We should learn to focus on Allah and ignore the pettiness of people. JazakAllah for bringing such inspiring stories to your readers. MAY ALLAH ACCEPT US, HAVE MERCY ON US AND FORGIVE US. Insha-Allah, I shall start doing this right now and try to continue as much as Allah wills. This shows the mercy Allah Subhanahu wata alaa has on his slaves. Allahu Akbar!!!!!!!!!!!!!!!!!!!!!! Mashallah. We must always seek forgiveness from Allah because of the many things we do which we might not have intended to be bad or negative. I try to say Istagfir as many times as I can in a day. Istagfir and Alhamduliah the two go hand in hand. Brought tears to my eyes and solace to my soul. So beautiful. Truly, we can not ask for enough forgiveness even if we spend every minute of everyday. Same goes for being thankful of Allah swt. There is no amount that will ever be enough. Alhamdulilla!! !Tooo gud.Thank you so much for mailing me this link as i hav not read your post in FB.Jazakallahu khair!!! Alhamdulillah. Jazakkallahu khayr for this excellent knowledge regarding Tawba. May Allah Forgive All of us and Accept us. Really this topic touches my heart a great. Tawba is what iam not so much doing till now. But Now through this knowledge, He reminded me that. Alhamdulillah. May Allah Bless u for sharing me this knowledge. Ameen ya Rabb. All Praise Be To Allaah Alone and May Allaah’s Peace, Blessings and Mercy Be Upon Our Beloved Final Prophet, those who proceeded and those who testified his prophethood and messengership, from all of the companions, all of the Wives, all of the Family and the rest of the Ummaah till the Day Of Judgement. May Allaah Cure my heart first and thereafter others, ameen. Thanks for sharing the story. Let us all ask Allah for forgiveness of our bad deeds known/unknown and May Allah accept all our Istighfar Ameen Sumameen. 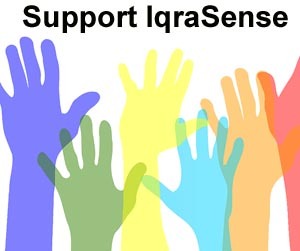 Iqrasense is doing a very nice and benificient job. May Allah bless all the peoples who are associated with this website, and forgive their sins and bestow his mercy on all of them, Ameen. 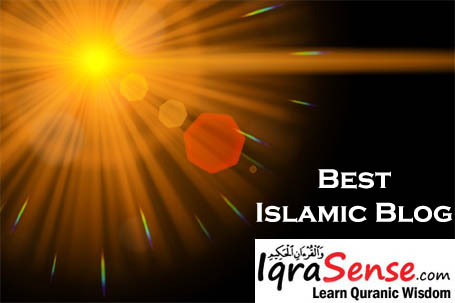 Really everytime i read the articles of Iqrasense i feel delighted and it adds to my knowledge and understanding of Islam and Allah and i get closer to Allah and ask for his repentence and mercy. May Allah bless all of us, who are maintaing this website, who are publishing the articles, who are reading the articles and who are sharing it further with our friends. I feel that ALLAH has brought me on to this site to bring me happiness, the topics are so relevant to our daily lives that it almost seems as the message and articles are for us as individuals. Indeed, ALLAH knows best. Asalamualaikum, SubhanAllah, indeed what a beautiful and enriching hadith……………Mind blowing, i felt that now my sorrow will come to and end. I’m pleading Allah to give me something but instead the other way round is happeniing with me as if Allah is angry with me. Insha Allah, from now onwards i will read Istighfaar and Insha Allah with Intercession of Rassoollah (s.a.w), Imam Hambali Allah will accept my duah. Thanks a lot for sharing such a good story… May ALLAH bless all of us and forgive our sins. AMEEN. 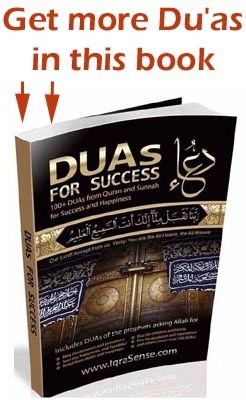 To achieve goal of DEEN & DUNIYA, ISTAGHFAR is a must. Thanks for this important article reminding us of the need to continually seek for forgiveness of sins from Allah. May Allah forgive all our sins. Amin. Amazing! Im a new Muslim and thru this story, I now understand why my husband is always saying Astarghfirullah. May Allah preserve all of us. Amin. It is a great story. It shows us how Istigfar help us to increase our Iman as well as how can we achieve our dreams. 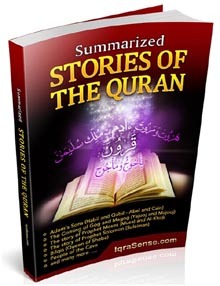 It’s really a great story, which enhance the light of taqwa in our heart.Thank you very much. 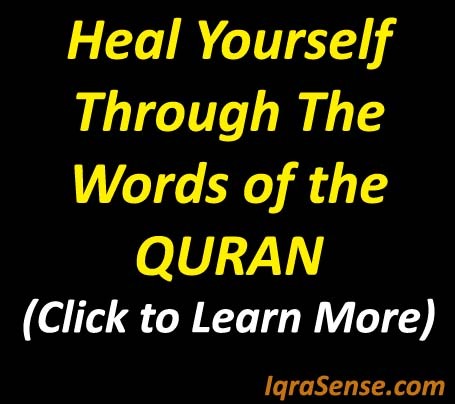 I appreciate the Iqra Site for sharing such mind blowing information. We all must recite Astagferullah Azimul Lazi Lailaha Ilallah howal haiul qaiumo watubo alaiyhe. ALHAMDOLILLAH! The Power of Istighfar reminds me the reason why for years my Du’as were not answered. I believe, a slaves should always ask forgiveness from ALLAH Subhana wa Ta ‘Ala because we are always erring. It is truly a moving story. It will surely help me a lot. Alhamdulillah, and thanking you people for providing us these great islamic treasures. Subhanallah…..!! the story has just incredible moral and to Learn Lots about the Mercy and glad tidings of ALLAH.SWT For his slaves..
Readign ISTEGFAR not just FORGIVES us but also makes our supplications to be accepted for the humble humility of seeking FORGIVENESS to ALLAH.SWT. THANKS FOR MAKING US KNOW SUCH A WEALTHFUL moral of ISTIGFAR i pray Let we Follow this for all the rewards as well forgiveness Ameen..
thanks for the guiding us, this story tells us we should always be grateful to Allah & should ask for his forgiveness . MAY ALLAH GUIDE US ALL AND ALSO GIVE US THE ABILITY TO ASK FOR HIS FORGIVENESS AT LEAST BEFORE GOING TO BED BECAUSE, “ONE IS NOT SURE WHETHER HE/SHE WILL BE ABLE TO SEE THE LIGHT OF THE NEXT DAY”. SO WHY NOT ASK FOR ALLAH’S FORGIVENESS & NOT MISS THIS OPPORTUNITY…AMEEN. Praise be to AllAH and may Allah shower peace n blessing to our beloved prophet Muhammad. Thank you for your wonderful insights. I totally agree with the power of asking forgiveness in our lives. Thanks for the great article on istghfar. We should bear in mind that this life on earth is very short. Istighfar is one the many ways to help us realize our faults and sins and will help us on the day of judgement. Thanks a thousand times for this precious article. It is very humbling to know that Rasulullah saw who was guaranteed to go to heaven would also recite astaghfirullah regularly, whereas, myself who often even forget the wrongdoings that I have done, do not practise it regularly. I hope that Allah would forgive all of our sins and show us the way to become truly his humble servant. Amin. Alhamdulillah….. All praise be to Allah alone. Will practice ishtaghfar daily from today. Thanks for this wonderful article. Keep up the good work!! Mashaallah,All praise to allah. Allah Forgive all of our muslim bros & Sisters. Jazakallah Khair for sharing this so very important but ignored knowledge. Very moving and Awekening, May ALLAH reward this team for the good job. Assalam alaykum warahmatu llah wabarakatuh, i ask allah to forgive us our sins firstly, but lets me remind you my fellow muslim that, not only reciting a word, will make you being forgiven by the allah, but we have to bear in our mind that the eeman to what we say nis so important. May Allah continue to support you in this noble cause. Alhamdulillah!Astaghfirullah! Alhamdulilahi!! I think this is what I really needed. Assalamualaikum to all bros n sis. MASHAALLAH he had come to now the very power tool to get answer for our duas n supplications..May Allah gudie us to the straight path..Aameen.. Wonderful article. May Allah reward you and forgive all our short comings. This is a great piece of writing. We will have to make istigfaar to Allah everyday as we do not remember how many times we are violating His Orders. May Allah enables all of us to make such type of dua and istigfaar all the times. jazakallahu khair for sending me a very precious message to me..
we feel that ALLAH has brought me on to this site to bring me happiness, the topics are so relevant & in right path to our day to day lives that it almost seems as the message and articles are for us and for all ummah of islam . Indeed, ALLAH knows best. islam is the best religion in the world if we try to study it well or understad it well. Mashallah, also we should make practice to say atleast 70 times a day. Thanks a lot for reminding me to seek forgiveness from Allah. May Allah reward you with multiples. Dear Brother thanks for story, and i pass on my sincerce thanks for to the brother who send me the link, it is need for the hour for me, as this story has given me much of peace of mind and has done good to my depression. i shall try to implement the moral of the story on my life. Please do dua for me. All Praise To Ar-rahmaan and thanks for my lord to helping me resolve my issues and he has often done this to me. Looking forward for article like above. Jazakallah Khair, for sharing this story. Allah has indeed given us countless examples for us to see and learn. May Allah forgive us and guide us all. ALLAHU AKBAR, May Allah forgive our mistakes, those we know and those we dont know. Amin. We have no alternative but to commit istigfar as much as possiible with a view to achieve kindness of Almighty Allah as well as true welbeing. very encouraging, indeed -may Allah reward you all for the efforts. asalam alaekum thanks for this article may Almight Allah forgive our sin the past the present and future once . Alhemdulilah!!.. I will surely practise saying istagafar wheneven I can.. Pl continue to enlighten us.. May allah bless u!! 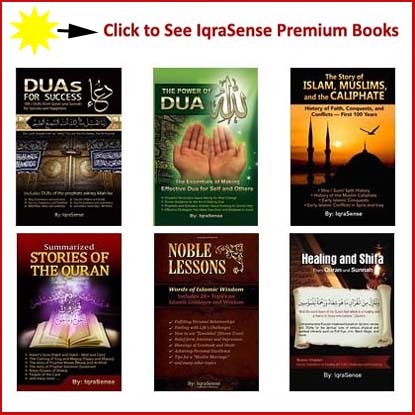 Assalam O Alaikum to Iqrasense team members…. I just received this article at right time, as i am writting a short biography on those noble scholers, so i can include it in my book. jazakallah for this wonderful article. You are doing a great job. May Allah reward you for this. 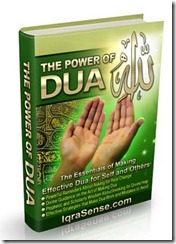 Jazakallahu khair for this awaknning article…. May Allah leads us to the right path. This story is very important to we the muslim. If the Prophet(saw) use say istighfar freguently during the day while his past sins and sins to be commited are all forgiven by ALLAH. So I think we should say more istighfar than the prophet because we are always committing sins day and Night. May ALLAH forgive us our sins. Ameen. Mashallah All chat, in this article is awesome and sterling. Great story and an optimum way to reveal the importance of ASTAGFAR. O ALLAH show us the straight path and help us to approach this power to all Muslims. inshallah will recite astaghfirallah from today .jazak allah khair for sending such a nice site. May Allah reward you for this reminder on this special day (Friday). May Allah make us continiously recite this dua. 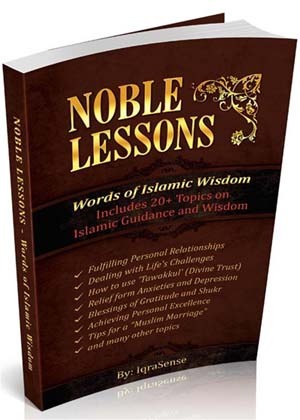 May Allah bless you for the wonderful knowledge you are imparting through this medium. 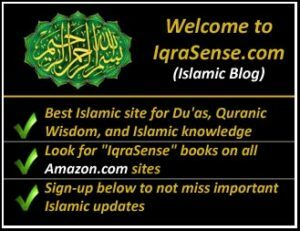 IgraSense.com Team; Jaza kallah khairan. May Allah reward you for being so wonderful as to affect the lives of your fellow brothers and sisters positively. May we be imbued with imam daily as we say “Astaghfirullah”. Mashallah…a simple and basic habit and gesture that can yield heartening and unthinkable reward and barakah from Allah swt. Jazahkum lau khaira for reviving one of the sunnah of our most honourable leader (Muhammad Ibn Abdullah) May Allah be please with Him. keep the good job up, there is no reward for good but good, may Allah reward u.
Al salamu alaikum wa rah…..
really Imman Ahmed bn hanmble was a noble man; proud to say(Rahmatullahialaih)Having unforgettable parts in preaching of islaam Jazakallah. May Allah Bless You for sharing this wonderful story with the importance of istighfar. Assalamualeykum warahaamatullahi wabarakaatuhu! All praise be to Allah alone. I Will practice ishtaghfar daily from today. Thanks for this wonderful article. Keep up the good works and may Allah accept your good deeds and forgive your evil deeds! See you!!!!!!!!!!!!!!!!!!!!!!!! This is indeed a touching story. All i got from this is we should keep remembering ALLAH all the time and ask for forgiveness and his mercy. Inshah Allah will do this from today. Thanks for this article. Allhakbar! Did not know Istighfar was this powerful. 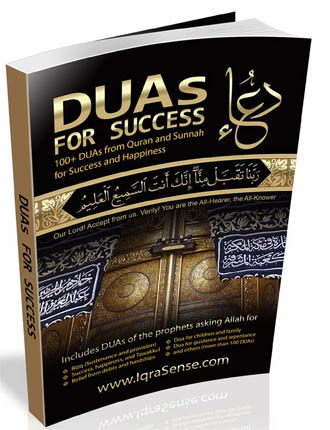 God willing, I will increase in the Act and pray that Allaah make it easy for me. Ameen. Thank you for sharing this most uplifting article and may we learn from the lessons that are exhibited by the life of Imam Ahmed Bin Hanbal. In these often troubling and difficult times may we take from his example to try our utmost to lead our best lives and to practice “Istighfar” in our dealings with others. I am touched…very nice story ..May Allah grant us taufeeq to follow it. JazakAllah Khair for sharing…May Allah forgive all your mistakes. Jazakallah khayran for this wonderful story.I am really touched by it. Assalamualeykum warahaamatullahi wabarakaatuhu! Allahu akbar! 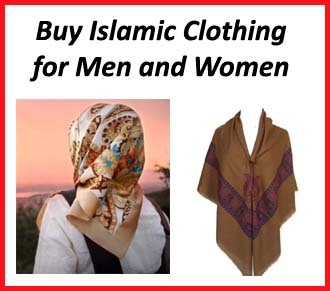 I am just thrilled for being a muslim. A very moving story indeed!! This is a very touching story, and it is a reminder that we should always give a helping hands to other people for we dont know what Almighty Allah has in stock for us. Such a beautiful story in which to bring life on track and be close to Allah”s mercy.pray for me Allah give me “hidaya” and give “taufeeq” to make “ASTAGHFAR” AMEEN. Assalamu alaikum. 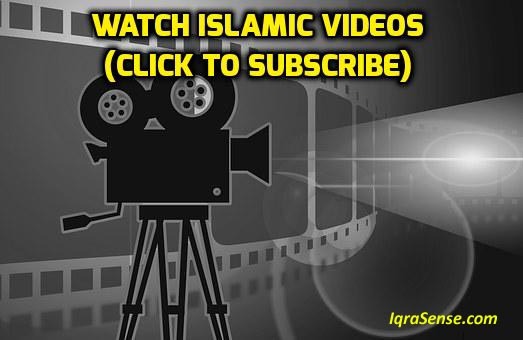 I have to confess that things like istigfar, takbir, zikr etc are common knowledge to us average muslims but shaitaan being always very active among us make us reluctant to do such good deeds or outrightly forget about them completely. May Allah (SWT) strenthen our resolve for doing good deeds and put us not among those that are forgetfull. Ameen. Allah forgive all of us and bless all of us. There is a lump in my throat, on hearing this story I wish that everyone knows how Allah will forgive them, let us say Astaghfirullah, when we get angry especially – how much trouble will we stay out of? Allah is truly the greatest that He has given us this option out of sin. No other belief structure offers this. We are lucky to have Islam! Thank you so so much for the post Allah barik. Masha Allah, I hope all muslems worldwide will be enlightened. Masha Allah, God is able so we give glory to ”Him”. Alhamdulillah. May he continue to guide and protect us Ameen! A really inspirational story.Reciting the istigfar will be a regular affair from now on. thank you so much for the valuable information……from the time of reading this story of istigfar…..i’ll recite this every time. In shaa Allah………. Nyc 1 masha Allah! May Allah SWT forgive us ol. Masha Allah, this really reassuring….Allah certainly listens to us even when know not. Astagfirullah Azeem! I have been doing just about everything. But my condition keeps on worsening. I want to kill myself because of the pain I have to go through. I shall now embark on saying Istighfar in abundance. Perhaps that will cure my disease. Reading asthagfirAllah gives you a lot of peace and keeps you away from worry and you pray for anything it is granted to you by any means. I have a short story to narrate. I was rich and doing well in all fronts of my life. I pray all 5 times, fast and do all the duties of a Muslim. But I was extremely proud on myself, my achievements, my looks and my status. A day came in my life all these things vanished, and on top of it I got sick with diabetics, hypertension and finally my kidneys have failed and I am on dialysis. But one thing. I have never fallen apart from the path of Islam. I don’t have anything today but the greatest wealth I still have is ASTHGFIRALLAH AND DAROOD ON PHROPHET MOHAMMED (SALLAH HU ALLE HEE WA SALLAM). This keeps me the most comfortable in all my worries. I go through painful process in my medical treatment for dialysis, I keep reading this two Zeekkir and Allah gives me a lot of peace. And I am slowly regaining everything that I had lost. My dear brothers and sister please read this and see the magic happening in your life. Alhamdulillah for reading this beautiful piece,may Allah swt make it easy for us to say astagfurllah all the time,Amin. what an eye opener and reminder.Thank you for sharing with us this story,It clearly shows the power of seeking Allah’s pardon. Masha Allah Good Article . ( Istighfar is also gateway of productivity. Istighfar removes anxiety and duas are replied. Istighfar opens the entryway of learning. Alhamdulillah for reading this educative knowledge, I will take it as daily duty to be say Astagfurllah and also educate those around me. May Almighty Allah SWT make it easy for us. Amin. Alhamdulillah for this great reminder. May Allah SWA continue to bless you and reward all your efforts abundantly.